Getting people to spread the word about accounting software requires building a strong relationship with customers and giving them something they’ll want to talk about. For marketers at Intuit’s QuickBooks Online it all starts with trust. Small businesses rely on QuickBooks Online to help them manage their cash flow, send invoices, and prepare for taxes. The trust embedded in these financial tasks is the foundation for a deep relationship with customers. 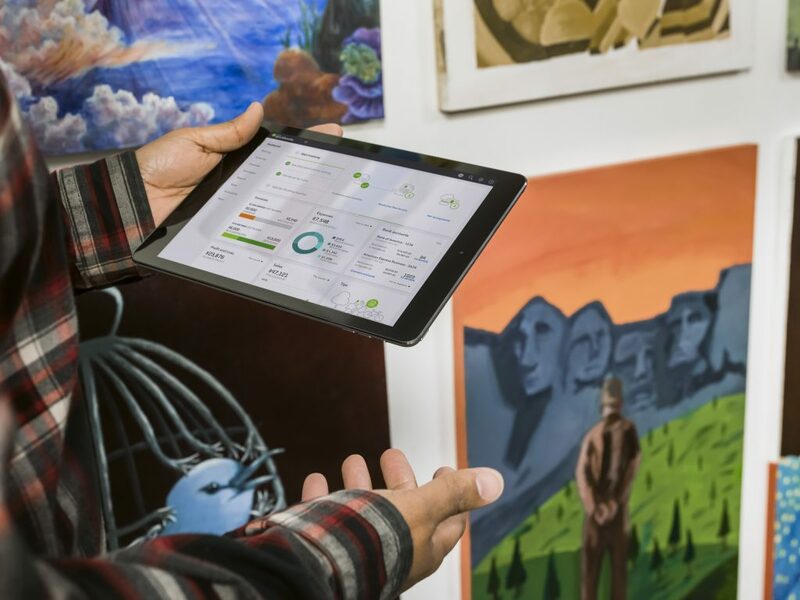 To further that connection, Intuit wanted to give customers an opportunity to easily share their experience using QuickBooks with friends, family, and colleagues. To take full advantage of the refer-a-friend opportunity, QuickBooks Online partners with Extole, the leading enterprise advocacy platform, to give customers an on-brand, easy-to-use refer-a-friend experience. Since implementing the program, Intuit has created a new channel for customer acquisition that, instead of relying on paid media, grows from their current customers. Acquisition and customer marketers jointly manage refer-a-friend at QuickBooks Online. Recently, Jenny Clauson, Customer Marketer for QuickBooks Online, initiated a project to better understand their advocates and build on their commitment to the brand. To achieve these objectives, she paired NPS with refer-a-friend. First, considering which customers were likely advocates, she targeted in-product promotional tiles encouraging referrals to high NPS responders. By showing high NPS customers they can earn a reward when friends sign-up, we got a nice lift in acquisition and the evidence we needed to do even more. With a successful lift in advocacy, referred friends, and new customers, Clauson took it a step farther. 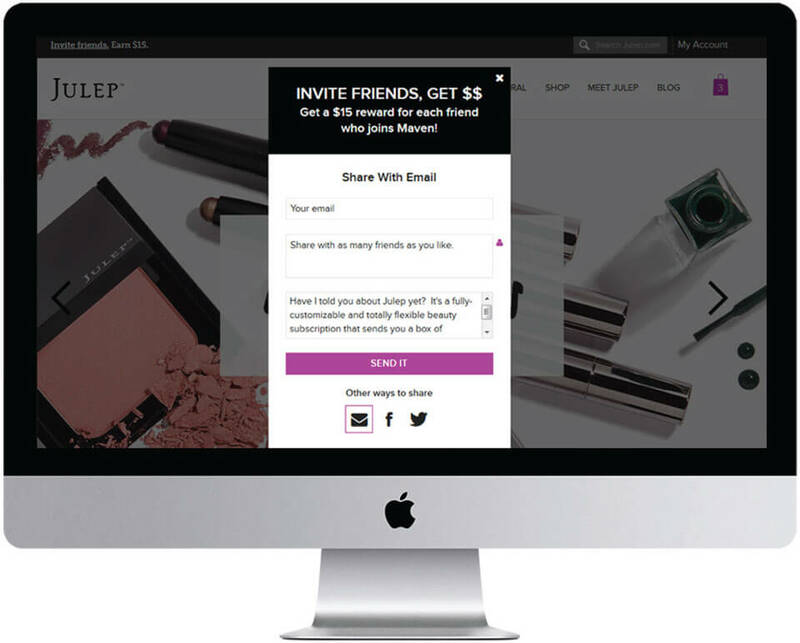 Using Extole’s ability to quickly and easily run burst campaigns — short-term increases in referral rewards — Jenny promoted a 2-week double reward campaign to their top NPS responders. A key to the success of any burst campaign is the promotion plan to let customers know to take advantage of the special increase in rewards. 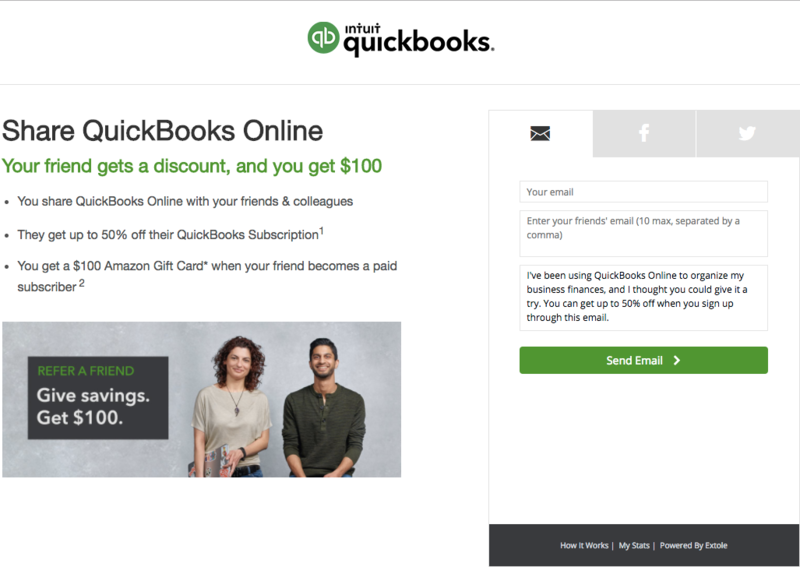 The QuickBooks plan not only leveraged proven promotional placements like the in-app tiles but also dedicated emails highlighting the campaign and even targeted social ads, mostly notably Facebook. The results of the burst were both interesting and impressive. By doubling their standard reward from $50 to $100 and by effectively marketing the burst, QuickBooks Online tripled revenue compared to the previous period and realized a 6-fold increase in the number of advocates. Referrals from in-app placements had the highest conversion rate, and dedicated emails encouraged the most sharing. Outbound raised awareness and drove sharing while in-app promotions had the highest conversion rate.